Kimmy Dora is back with a vengeance! After the abominable Kimmy Dora: The Temple of Kiyeme, I admit that I was a little wary of the final installment to the Kimmy Dora trilogy. The trailer did nothing to assuage my fears, especially with the hooded mystery villain named Bogart. I thought we were going to get another horror-fied installment that, I felt, was one of the reasons why The Temple of Kiyeme failed. Thankfully, Ang Kiyemeng Prequel doesn’t make the same mistakes that the sequel did. And I’ve taken note of the fact that Star Cinema doesn’t seem to be involved in this installment. Or if they have, they seem to have kept their meddling at the bare minimum. And the result is a return to form for Kimmy Dora. The wit is back, the charm has returned, and there’s more laughs to be had than ever before. It all begins with a James Bond-inspired opening credits that immediately sets the mood for the film. The opening bars of the music, and the visual gag of the two dancers accompanying Eugene Domingo’s Kimmy and Dora, already points out the obvious: this is not Temple of Kiyeme. There are no rules. Everything is fair game. They’ve also pulled out all the stops when it comes to cameo appearances. We get Mylene Dizon, Paulo Avelino, the hilariously mute Cai Cortez, a surprisingly subdued John Lapus, and more. There are also a couple of cameos that, I feel, are better left unspoiled. Let’s just say, fans of the first film will enjoy said cameos. Admittedly, I’m slightly disappointed that we don’t get Baron Geisler making a cameo as the nephew or son of one of Luisito Go Dong Hae’s fellow board members. But with everything the prequel has given us, I don’t have a right to complain. 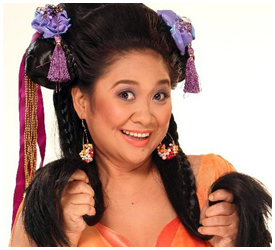 There’s something missing in Eugene Domingo’s portrayal of Dora. Something I haven’t seen since the first film. Her portrayal of Kimmy on the other hand is still fun to watch. But it’s actually Sam Milby who really shines in this film–as someone who doesn’t talk a lot. Casting directors, I think Sam has finally found his calling: as an action star who doesn’t talk much. Limit him to that, and he might actually revive his acting career. As for the story, the whole thing is actually predictable. Which is a good thing, in this case. Everything is set up in a way that nothing comes left of field. Everything is planted and plotted out right from the start. This allows you to sit back and enjoy the performances of the actors and actresses, and just bask in the hilarity of Kimmy Dora: Ang Kiyemeng Prequel. If you’re going to watch just one Metro Manila Film Festival entry this year, let it be Kimmy Dora: Ang Kiyemeng Prequel. It’s money well spent. The first thing I noticed, watching Bona, was the colors. Each character was assigned a color, depending on how they were connected to each other. Which made the Bona’s passionate reds and Gino’s appealing blues all the more distinct from each other. Sure, the colors complement each other–but any color does, depending on the shade. Given the wrong shade, the two will clash. And that’s exactly what Bona is–a love story between a woman who adores a boy so desperately it’s almost idolatry, and a boy who sees her for what she is to him–opportunity. It’s a love story waiting to clash. And crash. And burn. I’m familiar with the source material. I’ve never actually seen it, only heard references of it, so I cannot say if the stage play was better than the movie it was adapted from. But it is very apparent that the production has taken liberties with the material. For one thing, I don’t think there were call centers back in the day the original Bona was made. That said, I do think the writers who adapted the movie did an amazing job updating the material–without, basing on what other people have said about the production, taking anything away from what made Bona the movie work. But what sets it apart, basing from other people’s comments, is the stage play was able to laugh at the absurdity of the situation. Imagine, a grown woman falling in love with a boy on television? The absurd part of this is that it really does happen in real life. What is the different between admiring and worshiping? And it’s a great statement to make. Where do you draw the line? Which one is more rooted in love? In true love? I’m sure each one of us has a different answer to that question. Catch the last five shows of Bona this weekend at the PETA Theater. 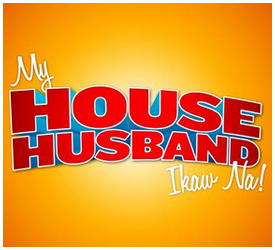 My House Husband is the latest dramedy movie from the Judy Ann Santos-Ryan Agoncillo tandem that had previously spawned two movies: Kasal, Kasali, Kasalo and Sakal, Sakali, Saklolo. But the domestic drama that made their previous two movies hits seemed to have taken the high road this time. A very high road. The film revolves around the character of Rod (Ryan Agoncillo) who decided to resign from his bank job because of a buy-out that promotes him into a demotion. What does that mean? Well, he is being promoted into an area manager–in a far-flung province. Without a pay increase. What does that have to do with the story? Well, it’s the reason why he decides to quit–and how he becomes the house husband. Now, the drama of the film has to do with Rod’s pride, his dilemma at becoming a house husband, his wife’s juggling act in balancing her suddenly full-time job and spending time with her family, and the overly-dramatic life of their neighbor Aida who Rod becomes friends with. A bit much to follow? It’s really not. Watching the movie, it’s very hard to get lost in the narrative. The timeline is simple, and the causes and effect are done in such a way that anyone would understand what’s going on. The film’s problem is the fact that it revolves around resignation and becoming a house husband–things that are very visual, but are not entertaining to watch. I wouldn’t even be surprised if people comment that Rod brought the problem to himself; in this times of economical hardship, resignation is not an option–at least until you’ve already secured a second job. Now, Rod’s reasoning as to why he resigned, and why he’s being picky with his new job, are both sound. But it’s a very intellectual exercise. At the end of the day, his pride should’ve convinced him to stick with his old job because he wouldn’t want his wife to become the sold breadwinner. For four months. Save for this one instance though, Rod’s pride is pretty much a staple to his every scene. My House Husband is a Ryan Agoncillo movie. Both Judy Ann Santos and Eugene Domingo’s characters were made to support his character. The thing is, it’s Judy Ann and Eugene who you would want to see more of in the movie. Judy Ann’s understated acting as the frustrated, yet loving, wife is a new facet we haven’t seen from the actress; and Eugene Domingo is Eugene Domingo. Out of her three Metro Manila Film Festival movies, it’s here that she shines the most–but it could also be because her comic timing eclipses Ryan’s rather bland acting. And that’s where things boil down to, doesn’t it? Ryan is an amazing host on television. But he’s not exactly an actor. So making a film and centering the story around him was a very bad idea. For one thing, the story was limited to intellectual settings, as no one would believe Ryan as a blue-collar employee. And being tethered to that limitation, the movie already alienated most of the movie-going masses. Now, had the film been made to center on Judy Ann and Eugene’s strained relationship, while maintaining the premise of Ryan being a house husband? That could’ve been comic gold. If last year’s installments of Shake, Rattle and Roll only had one servicable story, this year improves with two. Which makes it a shame that the film outfit who produces the franchise has gone on record to say that this will be the last Shake, Rattle and Roll. Well, maybe for now. True or not though, at least the franchise goes out with a bang with two great horror stories, instead of the usual one. The great thing about this year’s Shake, Rattle and Roll is the fact that they start the film with the weakest story: “Tamawo“. The premise is this: a farm hand steals a crystal from these creatures who reside in the forest. He hides the crystal, poorly, and refuses to return it. He gets killed. Enter Zanjoe Marudo who gets called in a couple of days later to take on the farm hand’s duties. He brings his family with him because this is supposed to be their new beginning. Of course, whatever happened off screen doesn’t get mentioned–at all–so we don’t know what happened to them that they needed a new beginning. We don’t even know why Maricar Reyes is blind–just that she is. After the lackluster opening of the creatures dining on the annoying farm hand, we go straight to melodramatic drivel with Zanjoe not liking his son Bugoy. We don’t know why either, except that he’s not supposedly really Zanjoe’s son. And then we head off to the forest with Bugoy who, having already seen the Tamawo creatures, still decides it’s a good idea to head off into the forest alone. And then the cliché kicks in: the Tamawo creatures want their crystal back or they will start killing people. Except they already started killing people. And by this time, we already know that the crystal is really an egg. And no amount of exposition from Celia Rodriguez will give this story much sense. The story ends with Bugoy sacrificing himself to save his mother and younger sibling. Who is blind. And alone in the forest. Good thing Celia Rodriguez swoops in just in time to save the blind Maricar Reyes–even though she was established earlier to be the only character with sense. Meaning that she wouldn’t go in the forest without knowing that the Tamawo are already appeased. Which they are by Bugoy’s sacrifice–although they already killed three people versus the one egg that was stolen from them. Basically “Tamawo” is a retelling of the “Nanay” episode from an earlier Shake, Rattle and Roll film; except this time, it has bad direction, bad lighting, bad acting– Let’s just say if you come in to the cinema late when watching this year’s Shake, Rattle and Roll, you did not miss out on anything. Things take a turn for the better though with the second story, “Parola“, where an age-old feud between witches transcend time to take lives year after year. And while the story does have holes (especially near the end), it doesn’t detract from the fact that it is plotted well–even the late exposition near the end of the story helps create a foreboding vibe, instead of feeling like a last minute know-how to not confuse viewers. The pacing is solid, and lead actresses Louise delos Reyes and Kathryn Bernado give performances that are believable/realistic. With horror movies, the less we see of the ghosts and other creatures, the scarier they are. But in “Parola“, the production team manages to keep the scare factor of the two witches even though they appear almost throughout the story. Heck, the way they treat the ghost of Dimples Romana’s witch is so exceptionally well done that her appearances will surprise you inspite of the anticipatory music’s presence. Some of the practical effects, like the wounds, could’ve been better–but all in all, this is one of the finest horror stories done in film. Now I feel bad that I hadn’t been able to see the Aswang movie they released a month ago. The last story, “Rain, Rain, Go Away” wraps things up in a really awesome way by tying its horror story in with a real-life event: Typhoon Ondoy. But what’s really horrifying in this story is the fact that the inhumanity shown in the film is something that really does happen in real life. Here we have a married couple whose way of handling their employees leaves a lot to be desired; because of the logic that unsupervised stay-in employees will escape (and steal) from them during the night, they lock them up inside their living quarters. And so, during the height of Typhoon Ondoy, said employees were drowned inside the factory. Because of this inhumanity, three spirits who couldn’t accept their fate haunts down the people involved in their death: the owners of the factory that took their life. The third installment is very well made–and you really can’t expect less from the people behind Ang Babae Sa Septic Tank. But I do have some problems with certain things: Number 1 is the fact that Jay Manalo’s character does, ultimately, care for his employees. He asked his mother to ask the Mayor for help to let them out of the factory’s living quarters. It was his mother who said she can do nothing. I know ghosts are vengeful beings bent on retribution only, but this scene does rub me the wrong way as the ghosts aren’t seeking justice (as they are said to be)–they just want vengeance. On the other hand, this does make for a very effective horror device as you know that no amount of remorse or regret would stop them from killing you. Number 2 is the autopsy incident. Well, there weren’t any autopsies shown–but we do get two police officers talking about autopsies at the scene of the crime. Within the hour of discovery of the body. My guess is, because of budgetary reasons, a scene that’s supposed to take place in a morgue (or, at the least, a police office setting) was transplanted to the scene of the crime. My third, and main gripe with the story has to do with the act that started it all: Jay Manalo locking his employees up. The living quarters is a room–with no toilet. Ondoy happened on a Saturday, and the floods started in the morning. By 8 in the evening, the flood waters had already started to go down. And yet we see Jay locking the employees up on the night of the flood. But at the beginning of the story, Jay is out with his wife Eugene Domingo for their anniversary–which is why he couldn’t go to the factory himself to let the employees out. Who, during this anniversary celebration, lost the child in her womb. And yet the next day, Eugene is already accompanying Jay and his family in checking the destruction wreaked by the typhoon on the factory–and the carcasses of the stay-in employees who died. Somewhere along the way, the writer and the production team seem to have lost their way in trying to explain the events–and still tie it in with the events of Ondoy. But overall though, if you don’t think about it logically, the third story is just as well made as the second one. And having two good stories in three is enough reason to catch this film in theaters. 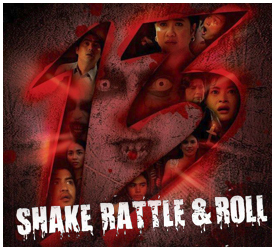 So do check out Shake,Rattle and Roll 13 before the Metro Manila Film Festival is over! Can I just start this by saying that there are a lot of wonderful films in Cinemalaya this year? I don’t know if you can still call the films in Cinemalaya “indie,” because they now also share traits with their mainstream counterparts. And I think this is a good thing. We write stories so others can read them; we make films so people would watch them–and in this year’s Cinemalaya, we actually have films that people from all walks of life will want to watch. I myself have always gone for entertainment value, watching movies that I know would either entertain me, or whisk me away from my real world problems. Which is why I’ve never been fond of many “indie” films. Why would I want to see the desolation of my country on screen when I can see it right outside the theater? I haven’t gone off-tangent, mind you, as this is the subject of Ang Babae sa Septic Tank–a group of friends wanting to make a film that would make a statement about poverty. Except this group really knows nothing about poverty, save for what they see in the “indie” films they want to emulate and what they see in the news. These people’s problems revolve around accidentally leaving iPad chargers at home, or obnoxious colleagues who can’t pronounce espresso properly. What do they know about poverty? And at the end of the day, what these three friends really want to do is be famous for winning awards abroad. They don’t really care about the squalor and the depression of the poor. Ang Babae sa Septic Tank, from the way I understood the film, is a parody. And at the middle of it all is Eugene Domingo playing a larger-than-life version of herself. While the story actually revolves around Bingbong (JM de Guzma), Rainier (Kean Cipriano) and Joyce (Cai Cortez–a scene stealer, even without dialogue! ), the friends who want to make an award-winning “indie” film, the real star of this story is the caricature of Eugene Domingo who wants to do something that will not earn her lots of money–which is, obviously, a parody of many celebrities who feel that they get street cred when they appear in an “indie” film regardless of how bad the material is. And you know what? I’ve never seen a parody pulled off as successfully as Ang Babae sa Septic Tank was able to. The people who watched the film with us were howling with laughter at the right parts–and keeping quiet at the parts where one is forced to wonder about the state of cinema in the Philippines–especially in the “indie” world where we escaped the trappings of commercialism, only to be trapped by a new set of conventions that shouldn’t exist in the first place. What makes an “indie” film? I don’t know the answer to that question. What I do know is that there shouldn’t even be an “indie” in the equation. The question filmmakers must ask themselves is “what makes a good film” and take it from there. If they’re having problems answering that question, they should watch Ang Babae sa Septic Tank. Ang Babae sa Septic Tank is one of the entries to Cinemalaya 2011, which runs from July 16 to July 23. It also has play dates at Greenbelt during the same time frame–and I hope a wider theater release after the festival. 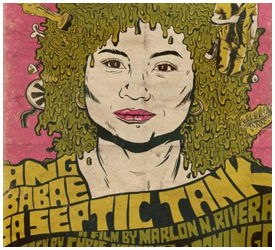 Edited to add: Ang Babae sa Septic Tank is now in theaters–starting August 3.
i’m a fan of eugene domingo. a big fan? maybe, but i don’t think so. i’m just enough of a fan that i would support most of her endeavors. since appearing gma-7’s AKO SI KIM SAMSOON, i’ve watched most of the television shows she’s been part of, and i’ve watched a couple of movies that has her on the headline: KIMMY DORA and HERE COMES THE BRIDE. KIMMY DORA cemented my love for eugene’s brand of comedy. and it’s that love that pushed me to watch MAMARAZZI. the story of MAMARAZZI centers on eugene domingo playing violy, a single mother whose only problem is that her children need a father figure. a very flimsy conflict, right? and it shows in the movie. definitely. and then you have the three children who all have their problems that supposedly connects to the need for a father figure: dingdong, an aggressive young man who folds whenever he’s in front of the girl he likes; peachy, whose intellect blocks her from finding true love; and strawberry, who is desperate to seek her mother’s approval. that’s three stories masquerading as four stories, when in fact, there’s no story at all. well, i’m sure there is a story there somewhere. buried under there somewhere. but, i have to say, the movie’s narrative isn’t hard to follow. you go from point a to point f, and you still know where you’re going. not because of great writing, but because there really is no plot. it’s like you just took random bits of a person’s life and flashed it on screen without any attempts of actual storytelling. but there is an attempt at comedy. and good thing this movie has eugene domingo and john lapus, because they are the only ones who are worth watching in this movie. well, carla abellana also delivers a few good punches. but that’s about it. eugene domingo is a wonderful actress-comedienne who manages to subvert people’s expectations in whatever project she has. so i’m kind of confused as to why she would agree to this movie. is it because the movie is very mainstream? maybe. her role here is a bit of a play on the personna she showed in the now defunct COOL CENTER: smart, sassy, and a bit sexually repressed. she was wonderful in KIMMY DORA, and the scenes i’ve seen of 100 and PLONING showcase eugene’s powerful acting chops in drama. but here in MAMARAZZI, we get a eugene domingo that’s funny and lovable, but she doesn’t level up to exceed the expectations she has set in her previous projects. john lapus as the semi-repressed homosexual is funny to watch. not because it’s new, but because it’s basically john lapus being john lapus without being john lapus. does that make sense? it’s basically the comedian-host having fun with a role that was tail0r-made for him. and while the rest of the cast was so-so in their roles, carla abellana was able to show that she can do comedy too. of course the material they gave her was a bit thin, but she was able to give justice (most of the time) to a one-note character. the fact that it was a bit of a parody to the roles she’s often given might be a plus. the main problem i have with this film, which i already mentioned above, is it’s lack of a clear story. which wouldn’t have been that big of a problem– heck, who am i kidding? the lack of a story is a problem! but the thing is, they could’ve masked this by giving it a clear narrative: of a character going from one point to the other. and that would have actually given the movie the story it needed. instead, we get a hodge-podge of scenes that are supposed to make us laugh, but only succeeds in making us cringe. overall, i think MAMARAZZI is just regal films trying to ride on the eugene domingo success train. that everything eugene stars in is instantly a hit. i mean, look at WORKING GIRLS, right? unfortunately for eugene though, even her brand of comedy isn’t enough to save this movie. i don’t think it’s going to go as far as hurt her career, she’s actually has talent to surpass this horrific movie, but it’s definitely going to make people hesitate to watch whatever her next movie project is going to be.